Did Nephi Land near the Andes Mountains? It’s been a fun interview with George Potter, and it’s been fun learning more about the Frankincense trail that Lehi likely followed in the Middle East. In our next conversation, I’ll ask George where he thinks Lehi and Nephi landed after they left the Frankincense Trail? George thinks it was probably the Andes Mountains in South America. George: My theory is that the Book of Mormon took place in the Andes Mountains of Peru, Bolivia, Ecuador, parts of Chile. Why? 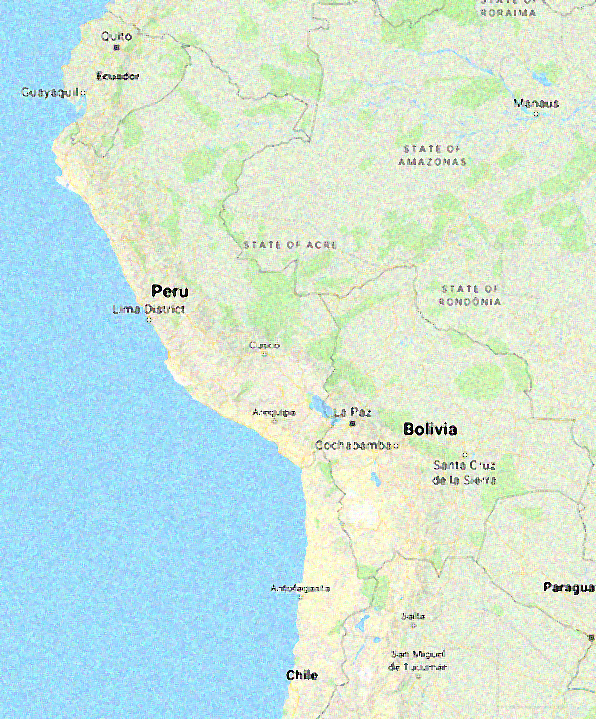 I was a missionary in Bolivia and Peru, so naturally that’s where it took place. When the Spanish got to Peru, they looked at alpaca, they said these sheep are beautiful. The wool is better than our sheep, they taste better than our sheep. They had no idea that the alpaca is actually a cameloid. What did the Incas think of the horses? They are big alpacas. What would Nephi have called an alpaca? He probably would have called an alpaca or a llama a horse. Anything with a tooth was described as an elephant by the Greeks. That was the language by Nephi’s time. Nephi never saw an elephant. But there are boars in America that had tusks, and anything with a tusk was an elephant. The Book of Mormon describes the fact that they went into the wilderness and found gold, and silver, and copper in abundance. For heavens’ sake, in Potosi, Bolivia they have taken enough silver to make a rod all the way from Potosi to Spain and back. I mean when the Spanish got there, they went to the homes of the poor people and there is just gold sitting there. What does George think of the Mesoamerican model? But actually, if you look at the archaeology that’s been discovered in the last 15 years, there were civilizations that took place in the Andes Mountains that had most of the attributes of the Book of Mormon in them in the Book of Mormon times. If you go north of Panama in Book of Mormon times, there is nothing that resembled the Jaredites. The Maya ruins, most of those classic ruins took place well after the Book of Mormon. They Book of Mormon was written on golden plates. There is no gold north of Panama in the Americas before 700-800 A.D. There were no sheep, no horses, no animals you could refer to as the animal in the Book of Mormon described by Nephi. Growing up in Jerusalem, Nephi likely had little experience in sailing. How did he learn how to sail? In our next conversation with George Potter, we’ll talk about Nephi’s training as a sailor. How did he travel? 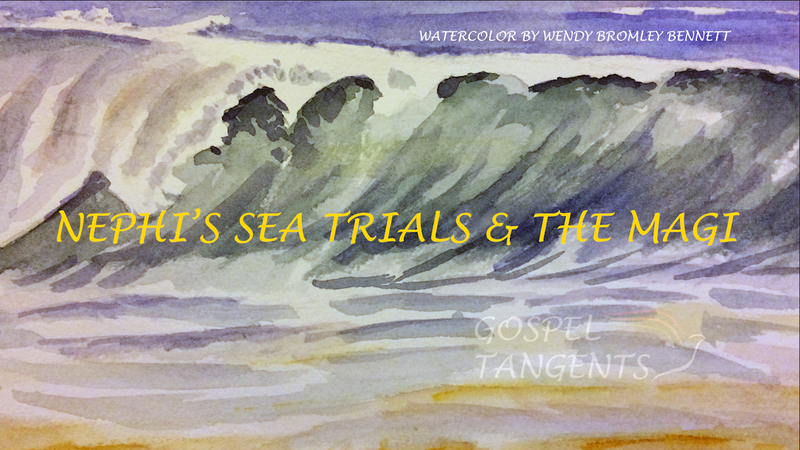 What were Nephi’s sea trials like? How did Nephi learn to captain a ship? It takes dozens of skills that you have to get right the first time and every time if you’re going to sail even out of the harbor, and make it out of the harbor. What is interesting is that that harbor was used in ancient times to be a shelter during the winter season for the ships of the Indian Ocean. The Greeks wrote about it. The Arabs did it before then. But in the Indian Ocean you sail one way in the spring, and another way in the fall, because of the prevailing winds of the monsoons. So, the ships would go from Oman to go to India, then they would cross over the Indian Ocean to Zanzibar. Then they would come back to Khor Rori, and then they would wait out the winter there where there’s no wind in that harbor. These are the only sailors in the world at that time who knew how to sail across open seas, the only ones. There is no record every of the Phoenicians being able to sail outside of the sight of land. They are great sailors, but we have no record of them ever sailing outside. We’ll also talk about the Magi that knew about the birth of Jesus. How did they get this information? Is there a Book of Mormon connection? How in the world did they ever know that the Christ child was born, the Savior of the World? To my knowledge, only one person knew when the Lord would be born, and that was Lehi had a vision that he would be born 600 years from then. They came from Oman. They came from the land of frankincense, myrrh, and gold. They were wealthy. George Potter talks about Nephi’s sea Trials. Did Lehi tell ancestors of the Wise Men about Jesus’ birth? 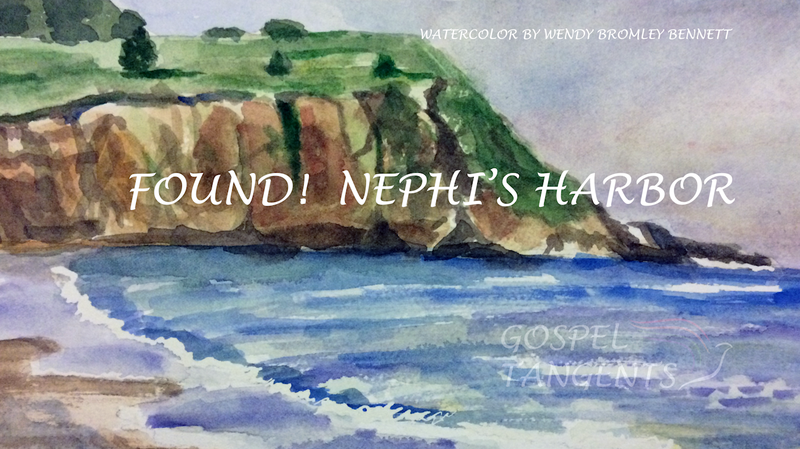 Check out our previous episode about Nephi’s Harbor! At the end of the Frankincense Trail, Nephi built a ship. But where did he build this ship? Where is Nephi’s Harbor? George Potter makes the case for Khor Rori, an ancient harbor with known shipbuilding in the area. Now curiously, Nephi says that he was building a ship different than the way that other men were building ships. Now how would he know how other men were building ships? He had to be in a shipyard, right? And we know that they were building ships at Khor Rori as far back as 1000 B.C at that harbor to support the trade. Even up in the cliffs you see the petroglyphs of ships that they were making, different from any other ships that were being built anywhere around the Indian Ocean. So, they were uniquely being built at Khor Rori. We have the ways that still exist when they lowered their ships into this natural harbor. I’ll ask him about another potential harbor as well. (I hope you have joined us for our previous conversations along the Frankincense Trail! George Potter thinks Khor Rori is a likely spot for Nephi’s Harbor where he built a ship.